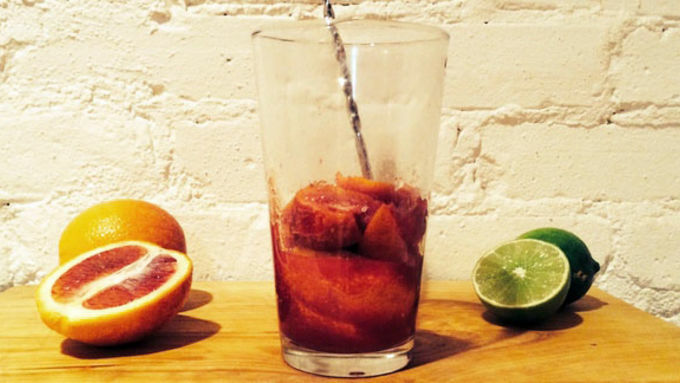 Cut up one blood orange into slices and place it in a pint glass. Use a muddler or bar spoon to crush the orange slices, releasing their juices. 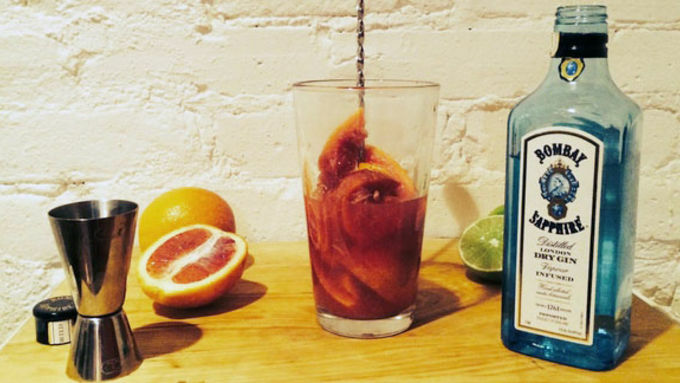 Add 2 ounces of your favorite gin to the oranges. Squeeze the juice from one half of a lime into the mix. Strain the mixture into a rocks glass with ice. 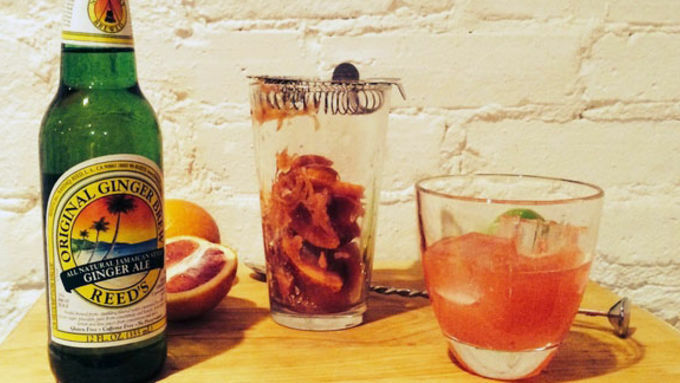 Fill the remainder of the glass with ginger beer. 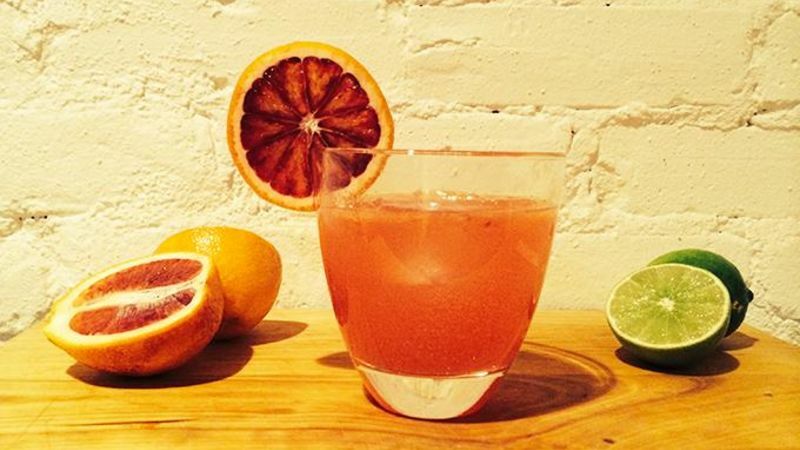 Garnish the drink with a single slice of blood orange. Everyone knows the standard vodka and orange juice combination that is a screwdriver. But you can get a lot more creative than that old favorite if you reach for a different fruit in the citrus aisle. 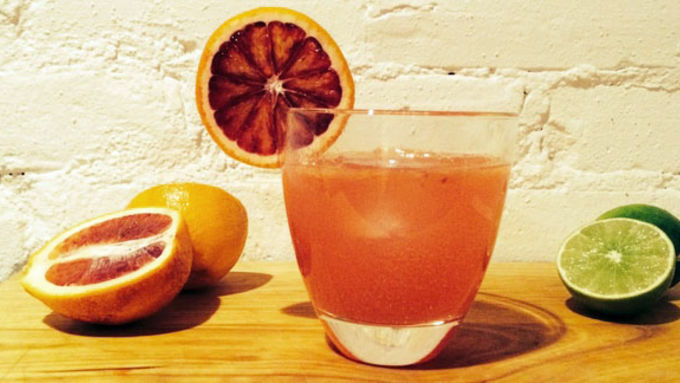 Blood oranges are tarter and pack a more intense flavor burst than a normal navel orange, and their red hue adds some nice color to your cocktail. Here is a simple recipe that combines a freshly squeezed orange with ginger beer and gin for a herbaceous treat. Enjoy!